The Campo Espinoso wildlife refuge encompasses 187 acres, of which 40 acres are irrigated fields of native sunflowers, foxtail millet and native grasses. There is a 67-acre pond; the remaining acreage is mostly undergrowth and brushy landscape. 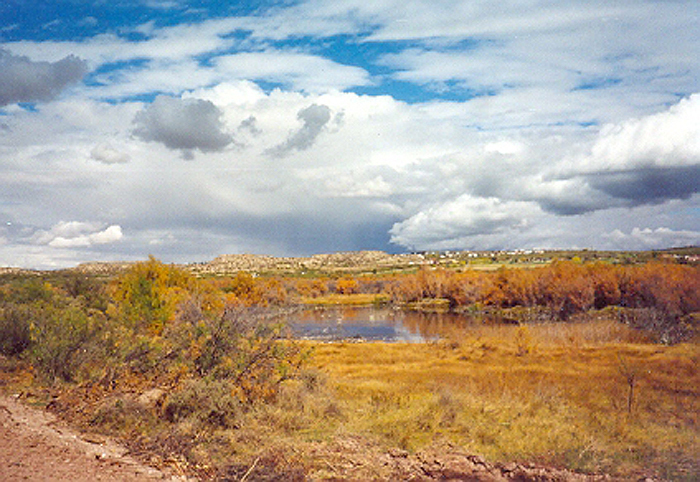 Wetlands habitats are rare in the arid Southwestern United States and the Interior of the upper Chihuahua Desert. These habitats are critical to the survival of hundreds of thousands of aquatic birds that migrate and winter along the Rio Grande migration corridor. The geese, cranes, pelicans and shorebirds that migrate along the corridor originate in the arctic breeding areas of the western portion of North America and Siberia. Occasionally, a mute swan is blown off course and takes refuge on the pond. Birds, being mobile, are able to adjust to the varying habitat conditions found along this route, but mobility has its limitations. The single most important variable driving the selection of wintering areas is the availability of food and resting areas.